It’s been a year to remember boot wise. 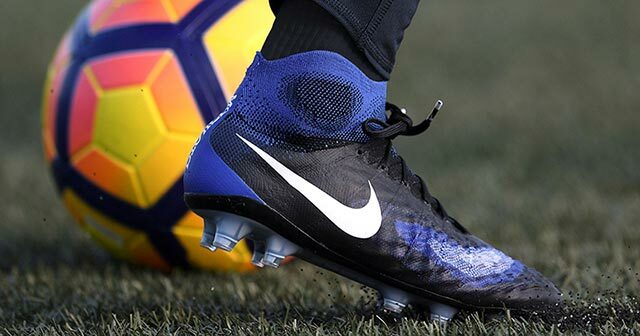 From remastered classics to the latest game changers, here are the 10 best football boots of 2016. As 2016 draws to a close and the year of the underdog wraps up, at FOOTY.COM we’ve taken a look back over the last 12 months and picked our favourite boots released this year. With limited editions and unique colourways being dropped on a weekly basis, we were given a bigger selection headache than Big Sam at Curry Club. 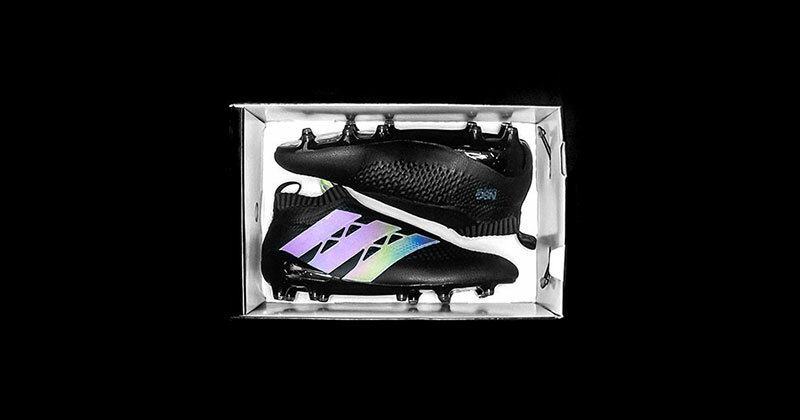 From new models battling for a space in your boot bag to the cult classics which show no sign of disappearing, here is FOOTY.COM’s 10 best boots of 2016. 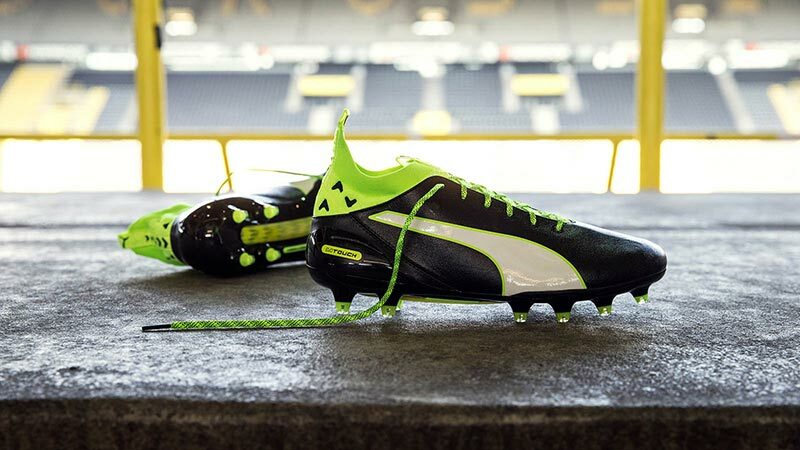 This year saw Puma release a new boot silo in the shape of the evoTOUCH Pro. 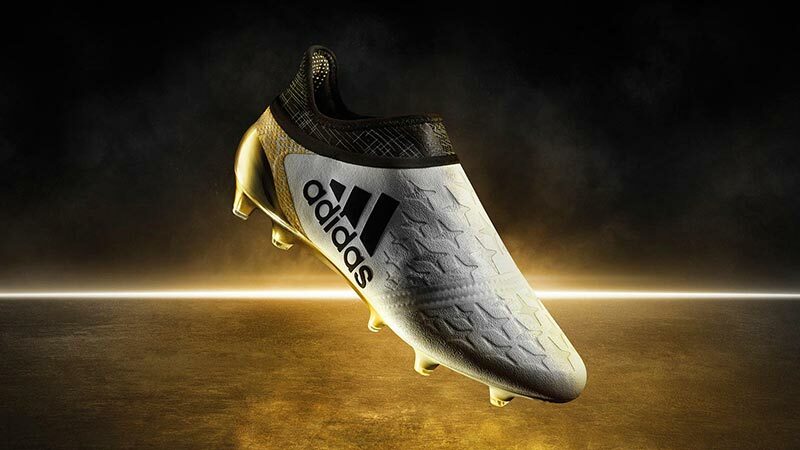 Designed to help your first touch and ability to pick a pass out through the crowd, the boot has been worn by midfielders including Cesc Fabregas, Santi Cazorla and Marco Verratti. Adding the must-have boot accessory of 2016: a sock lining collar and heel tab, to the tried and tested K-leather upper material, the evoTOUCH provides a second skin-like feel. Comfortable, deadly and durable, it’s a boot which will see you through 2017 well too. When the UX Accuro landed in FOOTY.COM HQ it certainly turned a lot of heads in the office. 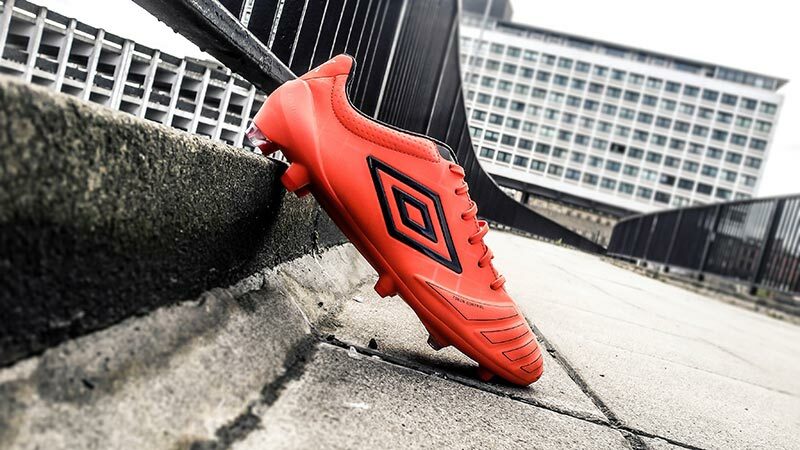 Released in July ahead of the 16/17 season, Umbro’s latest boot delivers extraordinary comfort with a killer bite. Arriving with the tagline “Deadly Comfort”, the Umbro UX Accuro Pro layered upper includes numerous strike zones to enhance your accuracy. Built with several innovating features, the eye catching grenadine finish seals the Accuro’s place on our list, and is arguably the most underestimated boot of the year. 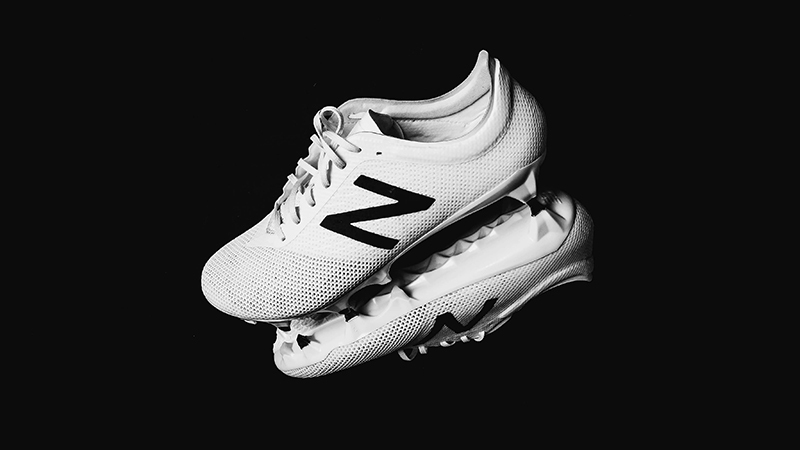 In a year which has seen boot designers reach the bottom of their Dulux paint charts, we simply couldn’t look past the whiteout Furon 2.0 from New Balance. Stripped of any fancy paint work and long worded colourway scheme, the ice cold Furon 2.0 has went back to basics. Focusing on premium speed and comfort, the mesh upper and sprint sole-plate will help you burst past the opposition while they’re gazing at your boots. Well worth the boot cleaning after every game. 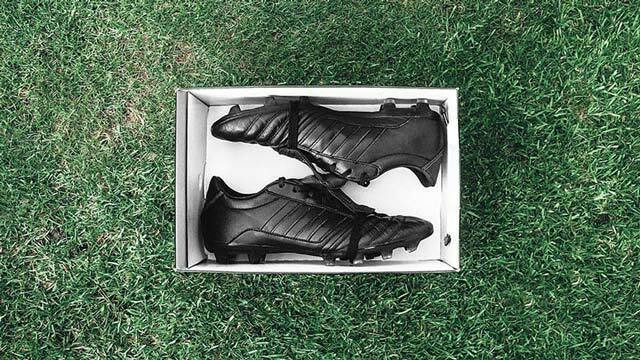 You simply cannot beat a pair of Tiempos. As each new boot pack brings with it a bunch of opinion splitting colourways, the Nike Tiempo continues to look every inch of the classic it has become. 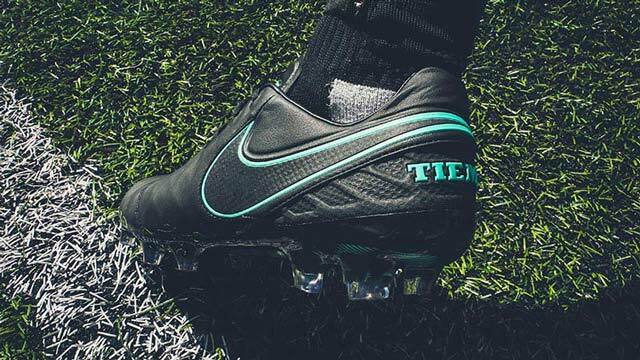 Providing a perfect template for daring boot pack designs, 2016 has seen the Tiempo Legend VI take on several guises, however we’re struggling to pin down a better design than that from the Pitch Dark pack. 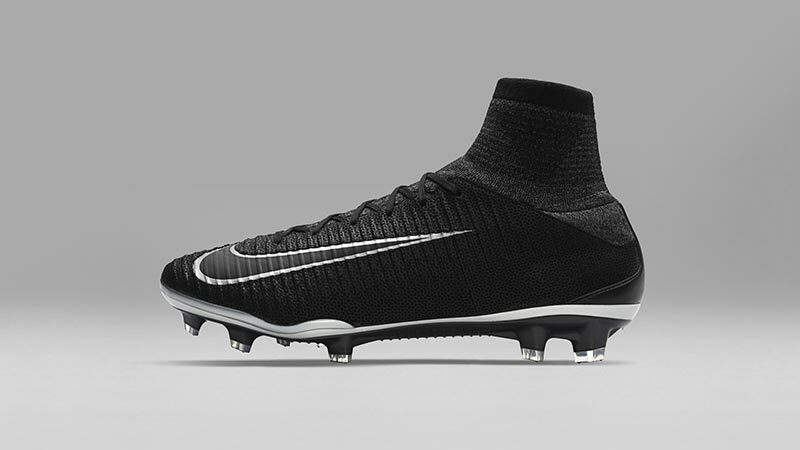 Blacked out and leather clad, with a subtle neon Swoosh, surely this is the football romantic’s boot of the year? Arriving towards the end of 2016, Umbro released the third generation of the Velocita. A symbol of the established brand’s new take on their boots, the Velocita 3 is up there with the very best boots of 2016. 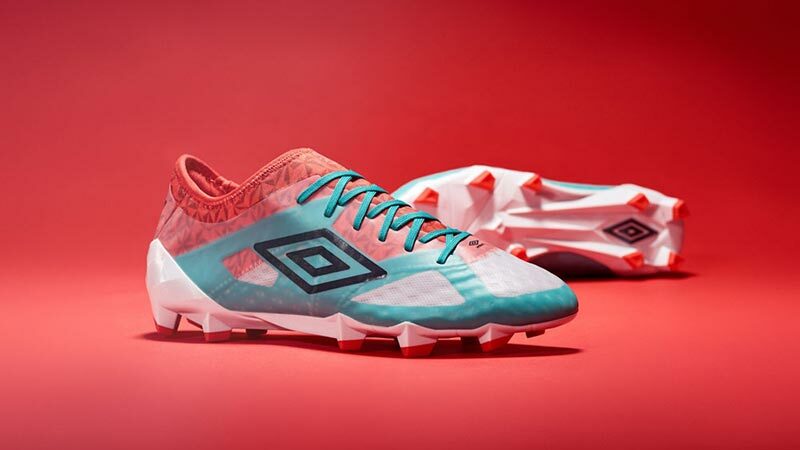 Developed for players who play the game at a high tempo, Umbro have pulled together all their latest technology to produce one of their best boots in years. The British brand adopted the popular sock-lining collar trend, while sticking to their guns of providing unrivalled comfort and fit. Landing in one of the freshest colourways of the year, with more styles to come in 2017, the Velocita 3 is a milestone in Umbro’s long running reign. Elasticated tongue. Leather upper. Blacked out from top to toe. The blacked out Gloro 15.1 from adidas has all the right ingredients of a superb boot, perfect for traditionalists looking for a modern option. Marking the end of the line for the Gloro, the boot range is going out in style with a simplistic yet extremely stylish colourway. At a third of the cost of other modern day boots, the Gloro offers incredible value for money too. The fact it is very rarely seen worn by professionals gives the boot a further mysterious aura. Although it’s the last 15.1 Gloro we’ll see, it’s certainly a boot that will stay with us for a long time to come. Worn by some of the greatest playmakers currently plying their trade in the final third, the Magista Obra II firmly deserves it’s place near the top of boot countdown. As one of Nike’s most innovative boots, the Magista Obra II allows your creativity and ability to shine through and pull the strings in any game. The Dark Lightning colourway of the Magista provides a more subtle and darker aesthetic compared to the original Obra II heatmap design. Including a revolutionary textured Flyknit upper for your touch, a Dynamic Fit Collar to provide the ultimate lockdown fit and a TPU soleplate for increased rotational movement, there is no better boot for creating chances. 2016 has seen adidas reinvent their boot game. Over the past 12 months we’ve been treated to some of the German brand’s best boot designs yet. Sticking with the space themed colourways adidas released throughout the year, the Stellar pack was inspired by the light side of the moon. The Non Stop Grip (NSG) upper was given a premium white paint job, with star detailing, while the heel and sole-plate shines gold. They’ll leave your opposition seeing stars, literally. Where do we start with the runner up on our boot top ten? Taken from the Tech Craft 2.0 collection, the Nike Mercurial Superfly V has had quite the year at the feet of trophy hoarder Cristiano Ronaldo. The explosive speed boot has came in a number of designs this year, but none quite as striking as the Tech Craft 2.0 edition. 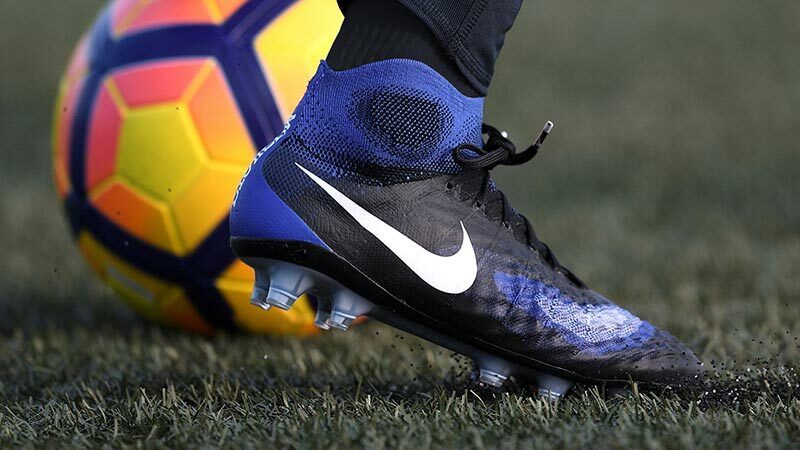 Coated in k-leather, the boot combines Nike’s fastest silo with the premium touch of a leather boot, delivering a boot with devastating impact. With improved comfort and protection, the Tech Craft 2.0 edition is a fantastic all rounder, worthy of the price tag. There’s no denying it; 2016 has been the year of the ACE 16+ PureControl. Arguably the most innovative football boot in a generation, adidas have rolled out their flagship boot in a number of different colourways. However, it's the subtly striking simplicity of the Dark Space edition which lands top of our list. With a splash of colour coming only from the pull tab and reflective three stripes, it’s a boot which has boldly gone where no boot has gone before. In a year in which laces became a thing of the past, the Dark Space PureControl looked like it landed from the future, and is lightyears ahead of its competitors. There you have it, the ten best boots of 2016. Judging by the ten which made our list, and those that just missed out, 2017 has a hard act to follow! What do you make of our best boots of the year? Have we missed out any obvious contenders? Let us know your favourite boots from 2016.